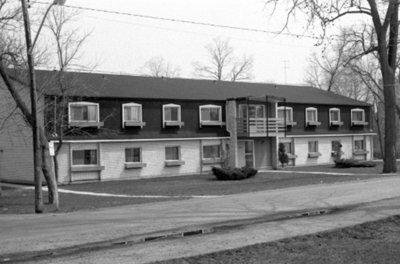 A black and white photograph of the front of 409 Centre Street South. This is a low-rise apartment building for Seniors. 409 Centre Street South, April 1976, Brian Winter. Whitby Archives A2013_004_023B.